S-corporation (or LLC taxed as such). Sole proprietorship income (as well as partnership income if the partner is active in the business) is subject to self-employment tax (i.e., a tax of roughly 15%, to replace the Social Security and Medicare taxes that would be paid by the employee and employer if this were wage income instead). What’s new is that those individual income tax rates are now, in most cases, lower for a given level of income than they would have been prior to the new law. In addition, income from such businesses will also qualify for the new deduction for pass-through business income (subject to phaseouts), which makes sole proprietorship/partnership taxation somewhat more advantageous than previously. C-corporations are taxed at their own rate (now a flat rate of 21%, whereas before they had progressive tax brackets like individuals). Then, when they distribute income to shareholders in the form of a dividend, the dividend is taxed at 0%, 15%, or 20% tax rates depending on the taxpayer’s level of taxable income. The dividend may also be subject to the 3.8% tax on net investment income. Previously, C-corporation tax treatment was not usually advantageous because of this double taxation (i.e., taxation of income at the corporate level, plus taxation of the dividend paid to the shareholders). While the new flat 21% tax rate means that C-corporation income over $50,000 will now be taxed at a lower rate than previously, the overall concept of double taxation still applies. And the net result is that C-corporation tax treatment will still be undesirable for most small business owners. Is not subject to self-employment tax. In other words, it’s the same as income from a sole proprietorship or partnership, but without self-employment tax. Do not qualify as pass-through income for the new deduction. In other words, the wages themselves are not very tax-efficient. So the savings from S-corporation taxation only kick in once there is enough income from the business to pay a reasonable level of compensation to owner-employees and still have a sizable profit left over. So, in short, for people whose income level is such that they would be in or below the 24% tax bracket (and therefore unaffected by the phaseouts for the new deduction for pass-through income) sole proprietorship/partnership taxation is now somewhat more appealing relative to S-corporation taxation, because all of the sole proprietorship/partnership income would qualify for the deduction, whereas the wages that the S-corporation would have to pay to the owner-employee(s) would not qualify for the deduction. Of note, however, is that the opposite conclusion may apply for people in the phaseout range (as well as for non-service business owners who are past the phaseout range). That is, S-corporation taxation may be relatively more advantageous, because it would be advantageous to have the business pay wages to somebody (i.e., the owner-employee), to minimize the impact of the wage-related limit for the deduction. More than ever, discussing the matter with a qualified tax professional is likely to be advantageous. 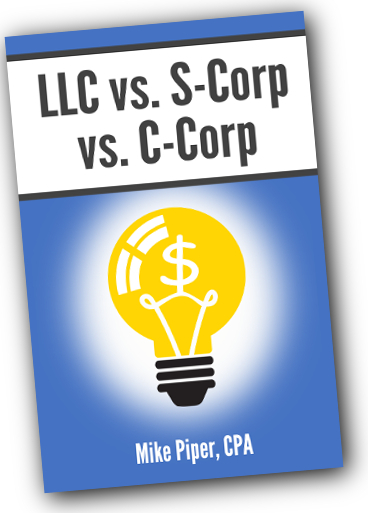 The following is a modified excerpt from my book LLC vs. S-Corp vs. C-Corp Explained in 100 Pages or Less. Partnerships themselves are not actually subject to Federal income tax. Instead, they — like sole proprietorships — are pass-through entities. While the partnership itself is not taxed on its income, each of the partners will be taxed upon his or her share of the income from the partnership. Form 1065 is the form used to calculate a partnership’s profit or loss. 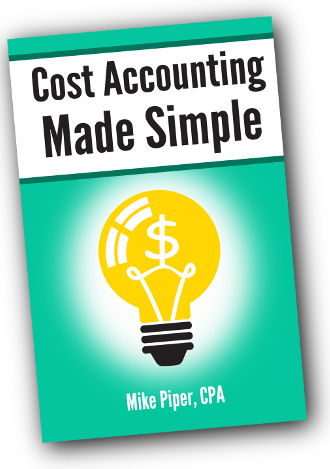 On the first page, you list the revenues for the business, list the expenses for the business, and then subtract the total expenses from the total revenues. It’s exactly what you would expect. On the second and third pages of Form 1065 you answer several yes/no questions about the nature of the partnership. For instance, you’ll be asked whether any of the partners are not U.S. residents, whether the partnership had control of any financial accounts located outside of the U.S., and other questions of a similar nature. The fourth page of Form 1065 is what’s known as Schedule K. Schedule K is used to break down the partnership’s income into different categories. For instance, ordinary business income goes on line 1, rental income goes on line 2, interest income shows up a little bit later on line 5, etc. After filling out Schedule K, you’ll fill out a separate Schedule K-1 for each partner. On each partner’s Schedule K-1, that partner’s share of each of the different types of income is listed. EXAMPLE: Aaron and Jake own and operate a partnership. Their partnership agreement states that they’re each entitled to exactly 50% of the partnership’s income. If, on Schedule K, the partnership shows ordinary business income of $50,000 and interest income of $200, each partner’s Schedule K-1 will reflect $25,000 of ordinary business income and $100 of interest income. This income will eventually show up on each partner’s regular income tax return (Form 1040). What’s important to note here is that allocations from a partnership maintain their classification once they show up on the partners’ individual tax returns. This is important because some types of income are taxed differently than other types of income. For instance, long-term capital gains (gains from the sale of investments that were held for greater than one year) are currently taxed at a maximum rate of 23.8%, and in some cases they are not taxed at all. EXAMPLE: Aaron and Jake’s partnership buys shares of a stock, holds the shares for several years, and then sells them for a gain of $10,000. When Aaron’s $5,000 share of the gain shows up on his tax return, it still counts as a long-term capital gain (as opposed to counting as ordinary income). It will, therefore, be taxed at a maximum rate of 23.8%, even if Aaron is in a much higher tax bracket. Ordinary business income from a partnership is generally subject to the self-employment tax when it is passed through to general partners. This makes sense given the rule that we just discussed about income maintaining its classification when allocated to a partner on his or her K-1. Because partnerships, like sole proprietorships, are pass-through businesses, profit from a partnership will also qualify for the deduction for pass-through business income. With a partnership, your deduction is for 20% of your share of the partnership’s profit, subject to limitations. One thing that surprises the owners of many partnerships when their first tax season rolls around is the fact that partners get taxed on their allocated share of the partnership’s profit, even if nothing was distributed to them. EXAMPLE: Michelle, Kayla, and Tim start a partnership. Their partnership agreement states that profit or loss will be evenly allocated to the partners. In the first year, their partnership makes $60,000. However, they’re sure that their business could grow quickly if they had the capital. So, they decide not to distribute any cash to the partners. Instead, they make plans to use all $60,000 to buy new production equipment next year. Despite the fact that none of the partners actually received any cash payout, they’re each going to be taxed on $20,000 of business income (1/3 of the $60,000 total). That is, each is taxed on his or her “allocated profit” of $20,000 rather than his or her “distributed profit” of $0. Like sole proprietorships, partnerships are “pass through” entities. A partnership is not subject to federal income tax. Rather, its owners are subject to Federal income tax on their share of the profit. Form 1065 is used to calculate a partnership’s profit or loss. Schedule K is used to break down a partnership’s income and deductions by category. Schedule K-1 is then used to show each partner’s allocated share of the various types of income and deductions. Income and deductions from a partnership maintain their original classification when they are passed through to a partner. For example, long-term capital gains will be taxed at a max rate of 23.8%, and ordinary business income is subject to self-employment tax. Beginning in 2018, you can claim a deduction equal to 20% of your share of a partnership’s profit, subject to limitations. Partners are taxed on their allocated share of the profit, regardless of how much of the profit is actually paid out to them. S-corporations, like partnerships, are pass-through entities. That is, there is no federal income tax levied at the corporate level. Instead, an S-corporation’s profit is allocated to its shareholder(s) and taxed at the shareholder level. Form 1120S is the form used for an S-corporation’s annual tax return. (This makes sense, given that Form 1120 is used for a regular corporation’s annual return.) As with a partnership, Schedules K and K-1 are used to show how the business’s different types of income and deductions are allocated among the owners. The big benefit of S-corp taxation is that S-corporation shareholders do not have to pay self-employment tax on their share of the business’s profits. EXAMPLE: Larissa is the sole owner of her S-corporation, an advertising agency. Her revenues from the business are $60,000 per year, and her annual expenses (not counting salary) total $10,000. Therefore, her S-corp’s profit for the year (before subtracting her own salary) is $50,000. Larissa’s plan is to pay herself $40,000 in salary, and count the remaining $10,000 as profit, thus saving money as a result of not having to pay self-employment tax on the $10,000 profit. Unfortunately, Larissa learns that the average advertising professional in her area and with her level of experience earns roughly $70,000 annually. As such, she’s going to have a difficult time making the case that $40,000 is a reasonable level of compensation. In the end, Larissa ends up setting her salary at $50,000 in order to avoid trouble with the IRS. Sadly, her S-corp’s profit (after paying her salary) ends up being $0, so she isn’t really saving any money on taxes as a result of S-corp taxation. So what’s a reasonable salary? This exact question is frequently the topic of debate in court cases between the IRS and business owners who are, allegedly, paying themselves an unreasonably small salary in order to save on self-employment taxes. Much like owners of a partnership, shareholders of an S-corporation are taxed on their allocated share of the business’s profits — no matter whether or not those profits were actually distributed to them. But, also like an owner of a partnership, a shareholder of an S-corporation is not taxed on distributions from the business, so long as those distributions do not exceed his cost basis in the S-corp.
A shareholder’s cost basis in an S-corporation is increased by his allocated share of the business’s income and by contributions he makes to the business. His basis will be decreased by his share of the business’s losses and by distributions he receives from the business. EXAMPLE: Austin forms an S-corporation and contributes $40,000 cash to the business. In the calendar year in which the business is formed, the business pays Austin a salary of $30,000, after which it has remaining ordinary business income of $20,000. During the year, the corporation also makes a distribution to Austin of $25,000. When Austin forms the corporation, his cost basis in the business is $40,000 (the amount he contributed). The $20,000 ordinary business income increases his basis to $60,000, and the $25,000 distribution reduces his basis to $35,000. $35,000 is his cost basis at the end of the first year. The $30,000 salary will be taxable to Austin as ordinary income, and it will be subject to normal payroll taxes as well. The $20,000 ordinary business income will be taxable to Austin as ordinary income, but it will not be subject to payroll taxes or self-employment tax. The $25,000 distribution will not be taxable to Austin at all, because his cost basis before the distribution was greater than $25,000. Because S-corporations are pass-through entities, profit from an S-corporation qualifies for the deduction for pass-through business income. That is, you may qualify for a deduction of up to 20% of your share of the S-corporation’s profit. Of note, any compensation (e.g., wages/salary) that the S-corporation pays to you is not considered to be pass-through income. It is only allocations of profit from the S-corporation that are considered to be pass-through income. Of course, each state has its own rules regarding S-corp taxation. Some work like the federal income tax in which shareholders pay taxes on their share of the income. Other states tax the S-corp directly. For instance, in Illinois, S-corporations pay a 1.5% tax on the S-corp’s Illinois income. This tax is in addition to the income tax that shareholders pay on their share of the S-corp’s income. S-corporations are pass-through entities. That is, the corporation itself is not subject to federal income tax. Instead, the shareholders are taxed upon their allocated share of the income. Form 1120S is the form used for an S-corp’s annual tax return. Shareholders do not have to pay self-employment tax on their share of an S-corp’s profits. However, before there can be any profits, owners that work as employees for the S-corp will need to receive a “reasonable” amount of compensation. S-corporation taxation is similar to partnership taxation in that owners are taxed upon their share of the business’s income, regardless of whether or not it is actually distributed to them. Also similarly, distributions from the business are not taxable so long as they are not in excess of the shareholder’s basis in the S-corporation. Beginning in 2018, you can claim a deduction equal to 20% of your share of an S-corporation’s profit, subject to limitations.